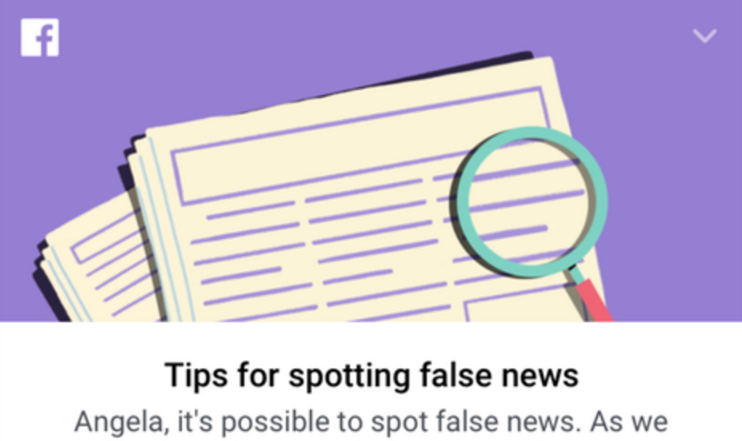 Facebook has taken a few steps to identify and flag fake news so far, but now it’s aiming to actually educate people on how to avoid it. It’s worth noting that – as pointed out by TechCrunch – Facebook uses the term ‘false’ instead of ‘fake’ because ‘fake news’ has taken on its own distorted meaning often referring to stories people believe aren’t worth reporting on instead of actual apocryphal stories. It’s a simple but welcome addition. As much as the tips in the list seem obvious, I can’t tell you how many times a day week I see people sharing satire stories they think are real, only to be called out on it later. There’s no way a simple list like this is going to stop people from sharing fake stories – that’s why Facebook is trying to address the epidemic in other other ways – but hey, at least it’s something.